The Streamlined Energy and Carbon Reporting (SECR) Framework aims to reform the way environmental data is reported in the UK whilst reducing the administration and cost burden on businesses. However, in reality, the SECR will add more regular energy and carbon reporting requirements than before. The CRC Energy Efficiency Scheme will be scrapped from April 2019, along with the resulting annual cost of carbon allowances (currently £18.30 per tonne). However, it is proposed that this loss of income for the UK Government will be recouped by an increase in the Climate Change Levy on energy bills. Companies not registered in the UK are not obligated to file annual reports at Companies House and will, therefore, fall outside the scope the SECR framework. If a parent company is not registered in the UK but has subsidiaries that are registered in the UK, these subsidiaries would be required to report, if they meet the qualifying criteria in their own right. 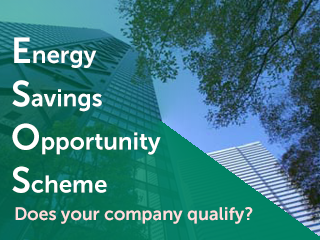 Large businesses are already participating in the Energy Savings Opportunity Scheme (ESOS) which requires them to conduct energy audits of all their business operations once every four years. 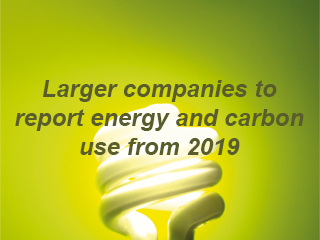 However, ESOS does not require any company to disclose their energy consumption publicly. The SECR now adds an annual reporting element. ESOS remains unaffected by SECR and Phase 2 will continue as planned. Companies consuming less than 40,000kWh over a 12 month period will not be required to disclose their SECR information, but must be able to demonstrate this to the scheme administrator. Companies can apply for exemption if they can demonstrate that it would not be practical to obtain some or all of the information required for SECR. It is also possible, in exceptional circumstances, that a company may be granted exemption if disclosing information would be “seriously prejudicial” to the interests of the company. For more information on what the SECR means to your business please contact Sustainability Consultant, Dan Ellis. Related article: Does your company qualify for ESOS?